This course is a primary / Secondary level course in astrology, comprising of fundamental calculations, planets and zodiac signs, Rashis, Nakshatras, Planetary degrees, House of Horoscope, Tithi Predictions, Study of Panchang also forms a part of this course. Introduction of astrology, zodiac signs, Solar system, Stars, Planets, Earth, Equator, Latitude, Longitude, Zonal time Longitude, Ecliptic and Equatorial Circle, Solar and Lunar Eclipses, Distribution of Zodiac by signs and constellations. Calculation of local standard time, Sidereal time, Sunrise and Sunset, Calculation of longitudes, 12 houses of horoscope, Position of planets in houses, Planetary degrees, Motion of planets, Rising and Setting of planets, Calculation of Vimsottari dasha and antardasha. Characteristics of planets, Friendship with the planets, signs of planets and degrees, Mooltrikona signs and own signs and their degrees, Significations states of planets and their aspects. Characteristics of signs, their nature, elements, even & odd signs, male, female, Dwipad, Chatushpad, Keet, fixed, moveable and mixed signs, shirshodya, prishthodaya and ubhayodaya signs. The 12 houses, their significators, Kendras, Trikonas, Trik, Trishday, Apachay and Upchay. Combinations formed by Sun and Moon Sunafa, Anafa,Durudhara, Kemdrum, Vasi, Vesi, Ubhayachari, Budhaditya yog, Gajkesari yoga, Chandra, Mangal, Amala yog, Panchmahapurush yogas Ruchak, Bhadra, Hans, Malavya, Sas , Wealth and Rajyogas By lords of Kendras and Trikonas. Position of Lord of Dasha in Ascendant, Relationship of lord of Antardasha with Lord of Mahadasha, Analysis of Vimshottari Mahadasha and Antardasha. Practical’s on zodiac signs, casting horoscope & matching with computer horoscope & finding the reasons of differences if any. Making horoscope and comparing with their personality and events. Calculation of Lagna, Hora, Dreshkan, Chaturthamsha, Saptamsha, Navamsha, Dashmamsha, Dwadashmsha, Sodshamsha, Vimshamsha, Chaturvimshamsha, Saptvimshamsha, Trishamsha, Khavedamsha, Akshvedamsha, Shastiamsha. uses of panchang, find tithi, Paksha & Month, know panchang of a day, increases and decreases of Tithis, Kshaya and Adhik maas, Nakshatra, Yog, Karan. It’s a graduation level certificate course in astrology. Complete analysis of horoscope and remedies. Also includes horoscope matching and muhurtas. Result of 12 Houses of Horoscope and Analysis of Yogas. Analysis of health, finance, education, career, marriage & children. Kaalsarpa dosha, mangal dosha and remedies. Analysis and use of Divisional charts. Vimshottari dasa and its results, Calculations of pratyantar, sookshama and pran dasha of vimshottari. Use of transits for predictions, Effects of gure, shani, Rahu in transits, effects of Sadesati and Dhaiya and their remedies, positions of planets, Vedhas of planets, Predictions of transits by dasha. To determine Bindus and Rekhas of Ashtakvarga, Sarvashtakvarga and their import ants of transit. Remedies for malefic effects of planets, importance of rededies, semistones & Yantras and mantras checkup. Worship of planets. 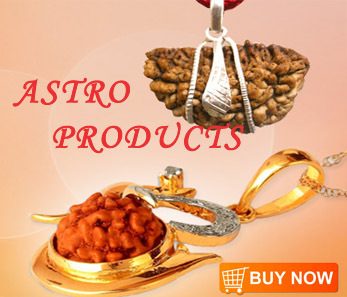 For Marriage, Ashtakoot matching Varna, Vashya, Tara, Yoni, Grih maitri, Gana, Bhakoot and Nadi, manage dosha and remedies. Declinations of tithis, Nakshatras, Vaar, Hora, Yog, Karan, shadva, Adhimaas, Kshaya Maas, Sarvarth sidhi yoga. Muhurtha for marriage, for gruh pravesh, for starting business, for journey, Chaughadiya, Hora kaal, Rahu Kaal. Prediction of horoscopes & comparing with actual happening; matching horoscope of couples, predicting their alliance and comparing in real life. Graduation in any steam or equivalent or Jyotish Pravin from our institute. This is a last graduation level of astrology. It includes knowledge of horary and annual horoscope. It includes predicting events of the country and world. Forecasting weather and longevity calculations. Analysis of health, finance, education, profession, children, marriage, sadesati, Kaalsarpa dosha and remedies. For malefic effects of planets, precious semistone and yantras, worship of Planets.